One of the biggest annoyances for most people when using Qantas Points are the taxes and fees they slug you with when redeeming points. For Economy flights, these can often be a deal breaker for using points when fares are cheap. If you’re willing to look away from Qantas for your flights to the US (and that might be a tough ask) you can save cash by redeeming with American Airlines. American Airlines Sydney to Los Angeles flights started in December 2015 but this tip is still just as valid – so we’ve updated this guide for those planning travel to the US in 2017. Qantas pass on taxes and fees with most of their frequent flyer partners, with few exceptions. American Airlines is one for which only airport and other booking fees are imposed by Qantas – with no fuel surcharges, making the co-payment when using points much lower. This is the case for all American Airlines-operated flights, not just those across the Pacific – I’ve picked up a US – Europe Business Class flight for under $15 in taxes before, plus points. The other win is that Qantas and American Airlines joint business partnership means that American flights can be redeemed at the same cost in points as Qantas flights, unlike other oneworld partners like Cathay Pacific. There’s nearly a $300 saving on a return flight in Economy, and around $750 for Business Class. First Class taxes are very similar to Business Class, but I couldn’t find abailability for the handful of example dates I searched to pull up a comparison – for both First Class and Business Class return flights. Award availability with both American and Qantas in Economy across the Pacific is pretty good outside of the usual peak periods, and can be found in peak travel times for Economy and Premium Economy flights by planning ahead. In Business and First Class, both airlines make slim pickings available for points redemptions. Qantas tend to consistently release Business and First Class seats at the edge of their calendar, so 353 days prior to flying a couple of seats usually come up in both classes. If these are booked and not cancelled, extra seats often don’t come up. American on the other hand tend to manage their inventory in blocks – there’s no redemption availability for a while, and then a block of seats will open up for redemptions. A possible downside to using Qantas Points in this way? You’ll be flying American, but that might not be so bad. American Airlines are definitely not “the spirit of Australia”, as Qantas proclaim themselves to be. Their inflight product is quite different to Qantas, (currently) with no Premium Economy offering, and different Business and First Class seat. From my experiences with American, the most marked difference is in the quality of service. US airlines generally are known for service that is focused on safety, with food and other courtesies a second priority. The best service manages to juggle both safety and service, and I’m yet to experience a flight with a US airline that has managed this. All that said, American’s Business Class seat is better than what Qantas’ offers on the route, with full aisle access for everyone and much more privacy. 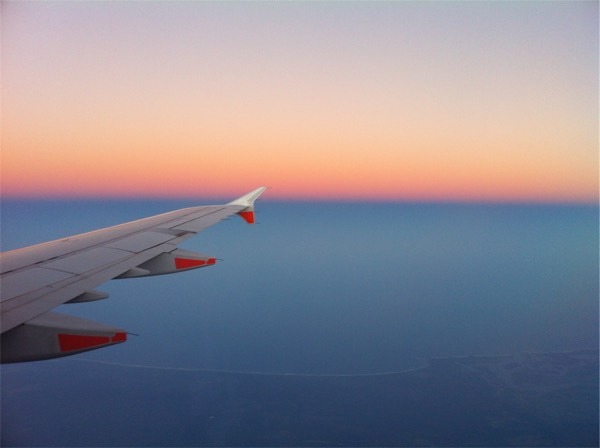 So the only downsides would be the aforementioned “feels like home” and service considerations you’ll get when flying with Qantas – but for the cash saved, I am certain most travellers can put that aside. Thankfully using Qantas Points for American Airlines flights is really easy – Qantas.com shows availability and pricing in points and taxes when searching. Just start searching from the qantas.com homepage, log in to your frequent flyer account when prompted and take it from there. Have you had a particularly good or bad experience flying with Qantas or American across to the US? Which would you choose? So I’m trying to find a Sydney to LAX / Return on Classic Reward flight as proof of concept for a trip I want to take in May to the US. But I haven’t been able to find any economy or business availability anywhere for 2018 at all. Evidently I want the taxes and fuel surcharge savings. Having just booked a oneway flight from JFK to Melbourne with $503 in taxes and surcharge, feeling a bit robbed. When and if I had found a American one it would’ve be jack all. When do flight reward availability open up for American Airlines flights on the Qantas.com flight reward platform ? Any help here. I think AA’s partners like Qantas and British Airways are currently having problems accessing their award inventory. Try searching on aa.com and giving Qantas a call to confirm availability. I just searched for any AA flights on the Qantas website using classic rewards but no AA flights showed up. I am trying to build a MEL-YVR return trip for my niece using Qantas points but the charges for using Qantas metal are usurious. Are the AA flights still available using Qantas points, If not what is my next best option? Yes, AA flights are still available using Qantas Points, although award seats in premium cabins between Australia and North America are really hard to come by. Alternatives could include Japan Airlines and Cathay Pacific, although they are the in the more expensive award chart. Anyone know the AA luggage policy on internal US Domestic booked as Qantas Award but not connected to an International ticket. I suspect it’s know carry on however for 2 of my bookings the Qantas booking has one checked bag included however for another it doesn’t. My understanding is it should only be one personal carry on item as checked and carry on luggage are not included for an Economy fare for AA domestic flights. That’s a good question. Go into Manage Your Booking on the Qantas website and it should have information on the checked baggage allowance. It’s strange that your two bookings show different information, though. Spoke with Qantas and AA. As expected checked not included don’t know why Manage my booking is showing it for some flights. Biggest issue was Qantas chat kept referring to AA’s baggage policy so wouldn’t give me a definitive answer on whether “carry on” was included in the Qantas Award Booking. AA confirmed that “carry on and one personal item” are included in Award bookings as they are seen as a managed booking and not a Basic Economy which excludes carry on. looking at flying to LA or san fransisco from Australia in august 2018 though seats are not released yet i am wondering if anyone has any idea if i pay for a ticket and then want to use my qantas points to upgrade to premiumn economy or first class how many points would i need per person. Two people going! Looking at this, I have found that having to book via the Qantas page means that Qantas apply their own price to it, hence there are no savings. For example, a return flight I am looking at for 29th July 2017 (Melbourne to Toronto) is $1274 to $1294 AUD for the trip there via Qantas, or 156,800 to 159,400 points – with several different carriers and options available (9 flights via 3 providers – Westjet, Air Canada and American Airlines). However, the American Airlines flights via their own site has the same flights for $971 to $993 AUD. (I thought this might be USD given the difference, but it is clearly AUD). Similar differences apply to the return flight. So $300 extra each way. So if the only way to use Qantas Points is to do it via the Qantas site, then in effect I am paying $600 extra (or the equiv in points) for the right to use points. Is there a way to book via the American Airlines site and apply Qantas points??? Essentially, whilst American Airlines IS cheaper, Qantas raise the price to be uniform with all others, to ensure customers cannot avoid high prices. Hi Brent – I think there’s a few things going on here. Firstly, it seems like you are comparing the prices of revenue fares (paying cash) – rather than ‘classic award’ redemption flights available through Qantas which is the focus of this guide. Classic awards are a fixed price in points paid to Qantas whether the flight is operated by AA or Qantas, and then there are variable cash surcharges which is what this guide is trying to help minimise. On the other hand, you can apply points+pay to a revenue fare to bring the cost down in exchange for points, but it’s not the same as booking a classic award. In answer to the question of can you book via the AA site and apply Qantas Points, the answer is no. Has anyone else noticed zero award seats on AA for all routes and dates? Not just on the website, but also nothing when calling the call centre. I suspect it’s something to do with the DoT questioning AA and QF partnership – perhaps they have temporarily suspended all rewards seats with AA. Does anyone have any better knowledge? I was looking for some AA flights on Qantas (Sydney to New York) out of curiosity. Could not find any at all even 330 days out. Is this normal? Unfortunately it can be, yes. AA tend to release blocks of seats in waves, rather than on the calendar opening. When they do open up chunks, we try and notice and write about it. With the DoT knocking back the Qantas/AA partnership, will they continue to have the same preferential points rate? 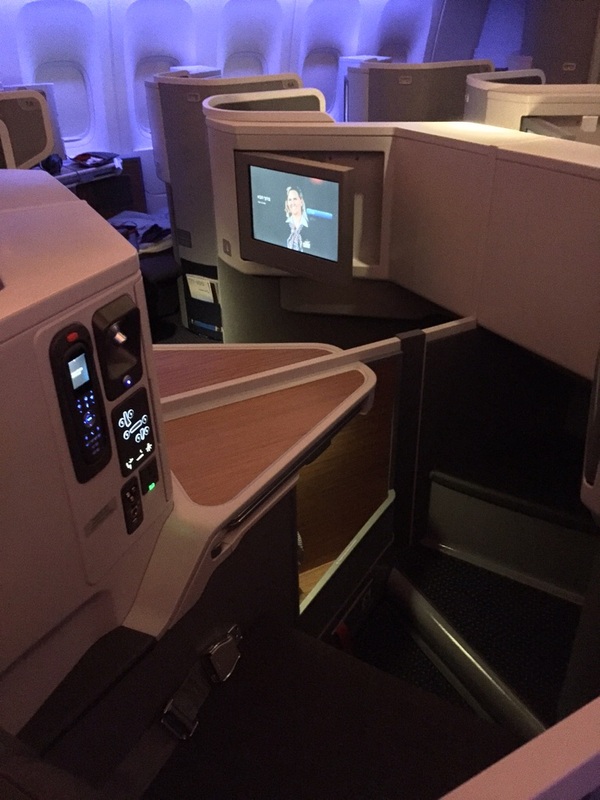 I would agree with the comment that AA is far superior to QF’s inflight service. The J hard product is significantly superior and the soft product is a step ahead. QF flight attendants cannot hold a candle to AA ones. I might be biased, I haven’t credited any flights to QF for 24 mths now, and could easily have made AA EXP twice over in 2016. I just booked AA business one way from JFK to Syd via LAX on qantas.com for 31/10/17. both airlines were 128k points. Qantas wanted $475USD on their own planes and AA charged me $27.81USD (thats not a misprint). So i saved over $600aud one way which is obscene. I did my research and the new AA A321 transcon has 3 classes including a fully flat bed in business in the same 2 2 2 config as qantas use for long haul. 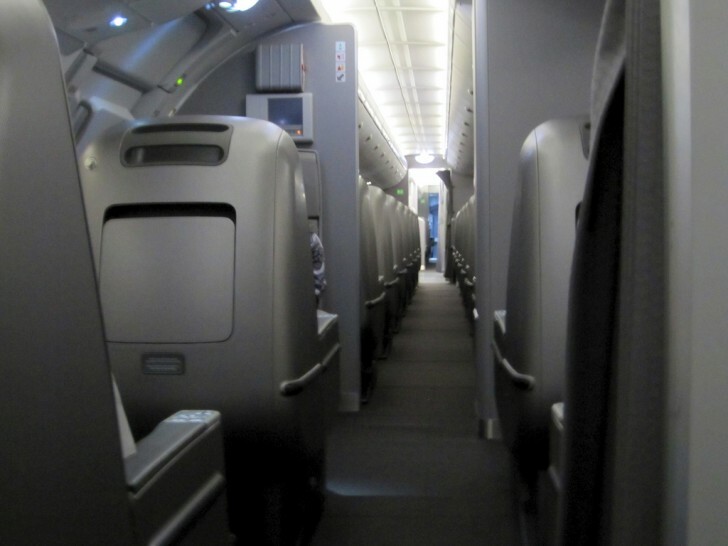 The AA 777 product is superior with all isle access which qantas doesnt offer. Why on earth would you pay an extra $600 aud to fly qantas on business one way when the alternative is an equal or better product today. Hey Justin – great example of this! Do you think we could use it to update this post? If so would you mind emailing us at [email protected] and I’ll just ask for a few more details? Thanks either way! “The downside to using Qantas Points in this way? You’ll be flying American. But that might not be so bad”. What? Have you flown AA recently? Have you flown QF recently? I am sure you must have but based on this story, maybe not. AA is FAR superior to QF. They have lifted their game dramatically. New upgraded Business and First product, great service, great food. As opposed to poor old, tired, unionised QF and their high taxes and charges. This is a no brainer. AA’s back as far as I am concerned and I thought it appropriate to put the record straight. 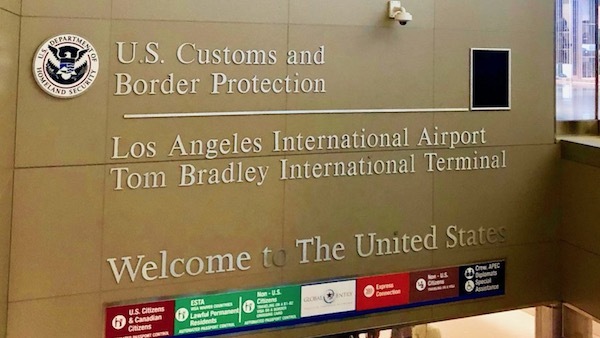 And now with One World policy of having t recheck bags, it you are connecting to other destinations in the AA network outside LAX, makes it even more attractive. The AA seat is quite good, the food is average but the main thing with AA is it’s a lot like booking a flight with Jetstar or Tiger, it’s cheaper because you are a very high chance of being delayed or cancelled. Keith, if you book rewards flights with AA (Business or first class) using QFF points does that mean you are eligible for the respective lounges with QANTAS as though you were flying with QANTAS? Yes, you book through Qantas.com. But from the Calendar view there’s no way of knowing if it’s an AA flight or a QF flight – need to see the day view. Alternative is to use another search tool like British Airways or a paid tool like AwardNexus. Can you explain to me how i use QFF point to book an AA flight? Do i have to look on the AA site and then call them and say i have QFF points? Guide updated, thanks Michael! Research and book through Qantas.com. How do I actually make this booking? 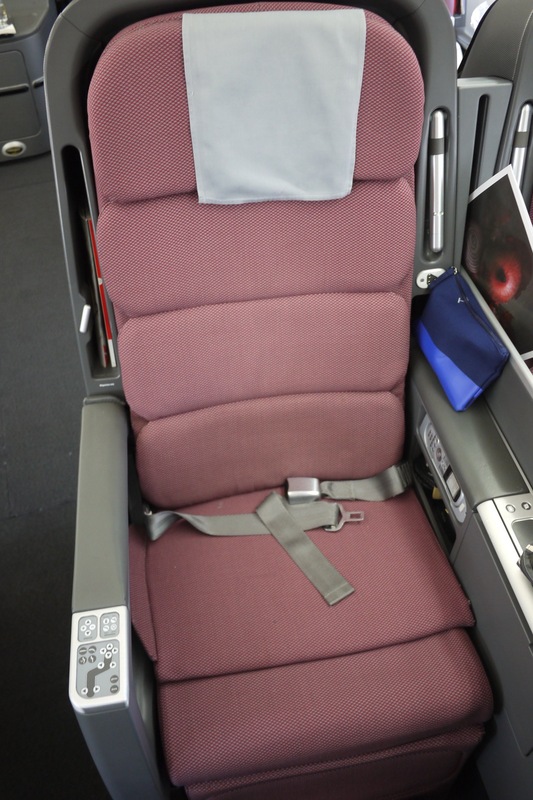 As an award flight on Qantas FF, or with AA direclty using my Qantas points? Hey Andy – yes, book as an award flight on Qantas.com using your Qantas Points. AA flights show in their search engine. With a family of 5 I use my Qantas points on American because the taxes are so high. $400 might not seem like much but 5 x $400 is way too much. For example this year we are flying SYD – ANC using American points but flying Qantas. Then we are flying SLC – HNL using Qantas points but flying American. Then we are flying HNL – SYD using American points flying Hawaiian. This was the only combo that I could get to work that had minimal taxes and availability of 5 seats. Although Qantas is much nicer to fly with, in terms of using points American points are much easier to redeem.